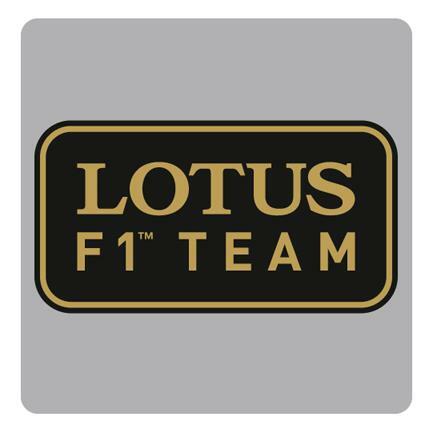 Lotus F1 Team scored its third double podium of the season as Kimi Raikkonen took second and Romain Grosjean third in an emphatic team performance at the Korean Grand Prix. Both drivers benefited from strong race pace and drove superbly - including dicing with each other - during a race which saw two safety car periods. Kimi returns to third place in the Drivers' Championship on 167 points - displacing Lewis Hamilton - and now lies 28 points behind Fernando Alonso in second. Romain Grosjean remains eighth in the standings on 72 points, 17 away from Felipe Massa in seventh. The team maintains fourth place in the Constructors' Championship on 239 points from Mercedes' 283. Kimi started from P9 with a scrubbed set of super soft tyres, changing to new mediums on laps 11 and 25. Romain started from P3 on a scrubbed set of super soft tyres, changing to new mediums on laps 10 and 31. Kimi Raikkonen: "Second place is ok and a good result for the team, but we're here to win and having to fight your way to the front from a bad starting position is not ideal. Qualifying was pretty awful for me, but it's difficult to say whether a better grid position would have made the difference. Sebastian was faster than us at the end; not massively, but a little bit for sure and his tyres were fresher too so I think it would have been tough to catch him in any case. We were closer to the Red Bull today than we have been in some races, but not close enough. People might say it was good luck with the safety car, but sometimes these things go with you and others they go against you. We made up some places even before that happened, and if we hadn't had the speed then we wouldn't have been in a position to take advantage. You could see at the end that we had more than enough pace to keep the others behind, so I think it's deserved." 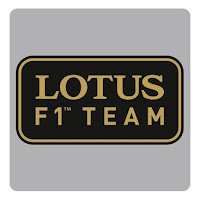 Romain Grosjean: "It's a fantastic result for the team. Of course, one step higher on the podium would have been better for me and two steps better would have been superb, but it didn't quite work out that way. Our battle with Lewis [Hamilton] was good and our pace was great, but the two safety car periods hurt our attempts to battle for the win. After the restart I should have been in front of Kimi on the road, but it was my mistake which let him past. I went a bit wide in Turn 15 and got on the Astroturf - which is very slippery - and that let him get a run on me. Then there were yellow flags into Turn 3 so I couldn't take the place back straight away. Of course, I was asking the team to let me past Kimi as I was on fresher tyres, but they left us to race which is our philosophy of fair play. You lose so much downforce in sectors two and three and obviously our cars are pretty close on performance so it's pretty hard to pass, but we have to be very happy with a double podium." Eric Boullier, Team Principal: "Another double podium for the team is a fantastic result and it tastes like a race win this late in the season. Credit to everyone back at Enstone for delivering us extra performance from the long wheelbase car, as any gain towards the end of the year is especially beneficial as we fight for position in both Championships. The race team delivered a great strategy and pit stops, whilst both drivers drove exceptionally well. We have a lot of promise for the remaining races and podiums are certainly on our agenda." Alan Permane, Trackside Operations Director: "A great result for the team. We thought we would be competitive coming into this weekend, and in the end we qualified well and raced extremely well. Romain drove an incredibly strong race, and without the safety car would have taken a very comfortable second place. There was an element of luck for Kimi with the safety car and he certainly made the most of that, before once more demonstrating that he never stops pushing by capitalising on the one mistake made by his team-mate all weekend. It was close between the two, but we let both drivers race to the end which was the right thing to do. All signs look positive for Japan."